MONTHLY PROGRESSIVE LENTILLES HORIZONT MULTIFOCAL HIGH PERFORMANCE TO SEE WELL AT ALL DISTANCES! Horizont Multifocal is a monthly high performance progressive lens, indicated to correct presbyopia. Designed specifically for great comfort, stability in use and high adaptability. 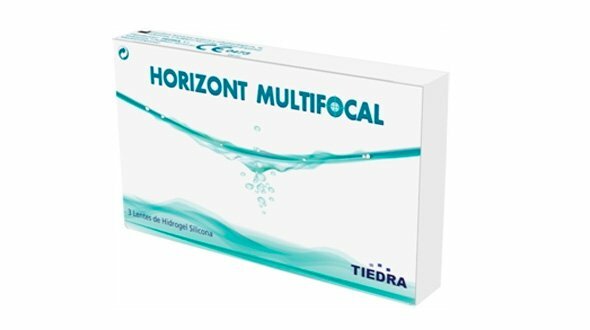 This multifocal contact lens, is made Filcon II 3, a silicone hydrogel art, endowed with highly hydrophilic properties getting conjugating with high moisture, high oxygen transmission cornea and a low modulus of elasticity. Its excellent functioning is based on the fact that the water molecules are trapped inside, then its great hydration depends on external additives, maintaining its content in water naturally until the end of the day. Aspherical interior geometry and progressive multifocal exterior. When buying online contact lenses Horizont Multifocal in Prodevisión, it is necessary for online contact lenses have been prescribed by a specialist optician or ophthalmologist vision, from there, you must place your order by copying the parameters of the last box of lenses progressive you have acquired , Ie the first adaptation has to be done by the professional who will value vision, movement of the progressive lens in the eye and also teach you the correct handling and maintenance of the lens. It is important to mention the maintenance fluid, usually called only solution . This must be of quality (first brand, all liquids are not the same) and if possible always use the same. A change of liquid for contact lenses can cause serious problems in the use of contact lenses. 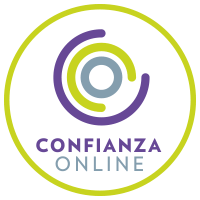 In Prodevisión we have the first and best brands of online maintenance liquids on the market that assure you that they will take care of your eye and your cheap contact lenses with all the guarantees. It is imperative to follow all the indications used by the manufacturer of the monthly lenses (Tiedra) in terms of hours of use, care, handling and replacement. As for the replacement is very important to respect it, since, they are discarded a month to open the blister in which they come from the factory (there are 30 put, but 30 days since opening).Contact lenses accumulate deposits of tear, dust, environmental dirt, poor cleaning ... If the lenses are not disposed of, they can lead to eye irritation and consequently an allergic reaction. If you notice discomfort when wearing them, red eyes or do not see correctly, remove your contact lenses immediately and discard them, consult your trusted optician or ophthalmologist. If not, you may have eye problems. In Prodevisión we are vision professionals, so if you have any questions or problems do not hesitate to contact us. 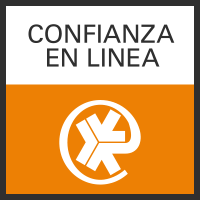 For our part, as specialized contactologists, we will be happy to help you in everything we can.